Assistant Coaches: Cash Ulrich, Tyler VonDracek, Jacob Prater. 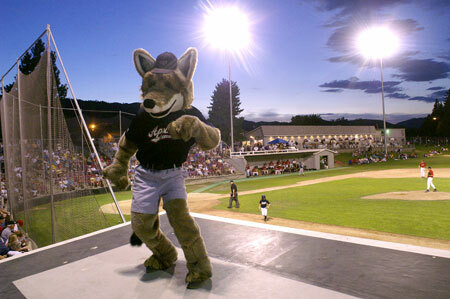 Ballpark: Paul Thomas Sr. Field at Wenatchee Valley College. Dimensions: LF- 310', CF- 405', RF- 310'. 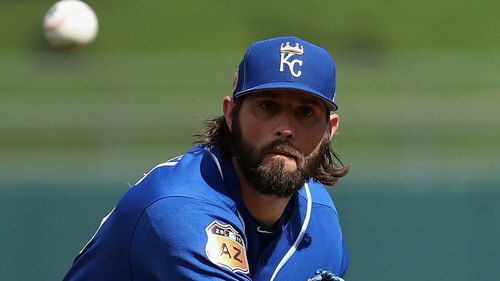 Royals starting pitcher Jason Hammel pitched for the AppleSox in 2001. Hammel earned a World Series ring as a member of the Chicago Cubs in 2016. In addition to Hammel, Tommy Milone of the Milwaukee Brewers pitched for Wenatchee in 2006. Milone came to Wenatchee from USC and was both a pitcher and first baseman for the AppleSox that summer. Prior to joining the Brewers the southpaw also pitched for the Minnesota Twins and Oakland A's. Junior outfielder Keston Hiura of UC Irvine was named to Baseball America's first team this spring. Hiura played for the Wenatchee AppleSox in 2015 and earned first-team All-WCL honors. He hit .356 for the Sox with 21 doubles, 6 homers and 42 RBIs; and a league-leading 6 triples, 119 total bases and .623 slugging percentage. He was also a Freshman of the Year, earning the Big West honor in 2015. 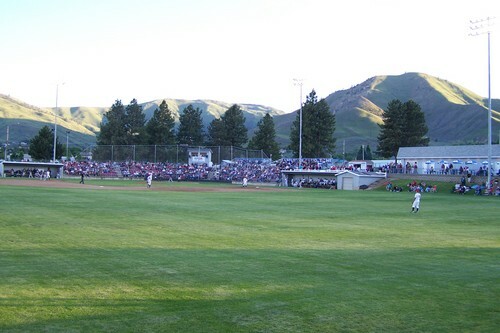 Paul Thomas Sr. Field sits on the campus of Wenatchee Valley College, where it is home to the AppleSox during the summer and Wenatchee Valley College Knights during the spring. The stadium has a capacity of 1,200 and includes both general admission and premium seating. The premium seats make up the lower bowl around home plate and were originally brought in from the Kingdome before its implosion in March of 2000. Prior to the 2012 season, the old Kingdome seats were replaced with brand new premium seating. The general admission seating is comprised of bleacher seats which include an alcohol-free family seating section. Fans are also welcome to bring their own lawn chairs or a blanket to the park and find a seat in the grass along both foul lines. The seating at Paul Thomas Sr. Field is known for its intimate proximity to home plate and the infield. A signature staple of the ballpark is the famous strikeout socks that are hung from a clothesline each time an AppleSox pitcher strikes an opposing batter out. Watering Hole: Wenatchee Valley Brewing Co.
World famous for its apples, Wenatchee has so much else to offer -- like over 300 days of sunshine a year and a wonderful turn of the century downtown that serves as a vibrant arts, culture and retail center. 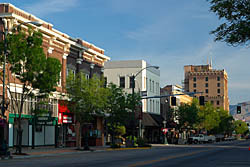 The beautiful confluence of the Wenatchee and Columbia Rivers forms the Wenatchee Valley, a unique and diverse region that has captivated the hearts and imaginations of many. The Wenatchee Valley welcomes you to high mountains with lush forests and pristine alpine lakes hidden from the too casual viewer. Wildlife abounds along the rippling streams that feed the wild waters of the Wenatchee River, finally merging with the mighty Columbia. A fishing and hunting ground for Plateau Indians for thousands of years, the Wenatchee Valley was settled during the 1870's by ranchers, traders and apple growers. Today, nature is at its unspoiled best beside cultivated fields and orchards heavy with fruit.